My interest in watches began rather abruptly, prompted by a family gathering at which my relatives discussed and compared their wrist watches. At that point, I knew nothing of horology. If I did purchase a watch, it was based only on looks and what was in stock at Target. But that dinner conversation tipped the scale. 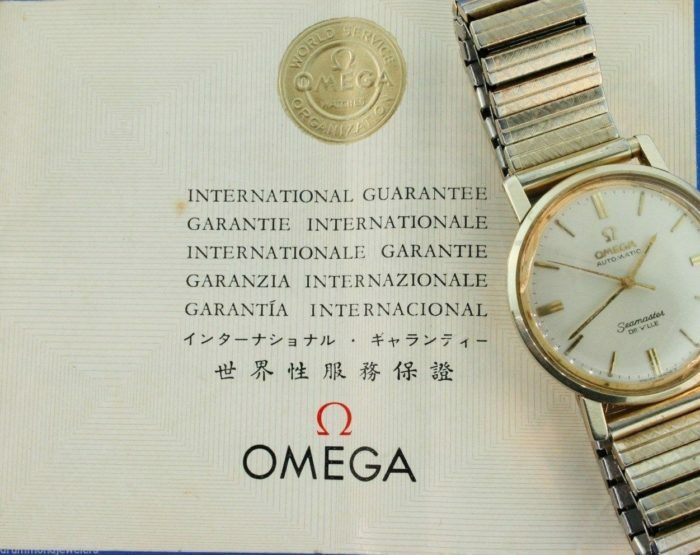 I began reading about watches and eventually decided my first piece would be a vintage Omega Seamaster for its prestige, elegance, and value. 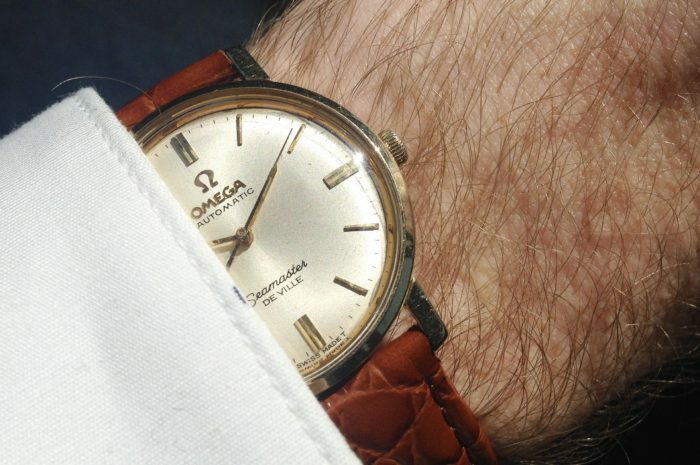 I came across a 1966 Omega Seamaster De Ville in solid 14k gold for an excellent price, but the watch was not without issue. The crystal was cracked, the watch was filthy, yet the dial was pristine. It came with the original papers from 1968 detailing the serial number, reference number, dealer, and original owner. It turned out to be a reference B6671 cal 670 mid size in 32mm. Small, but adequate for my dainty 6.0-inch wrists. 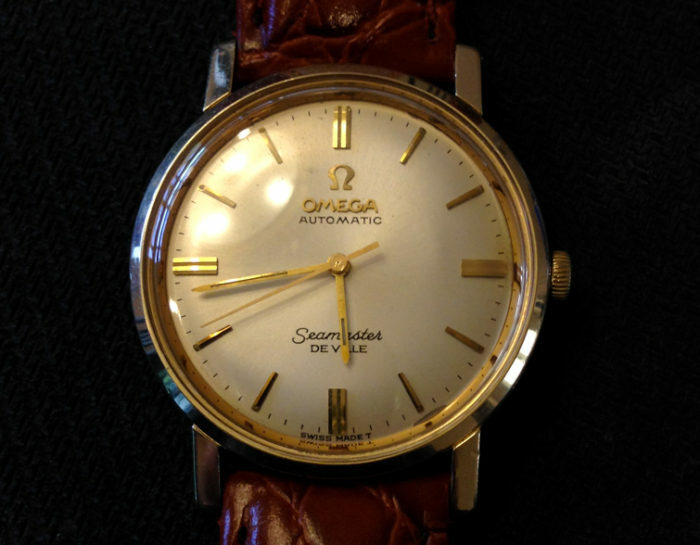 In looking for watchmakers to service it, I ended up with quotes ranging from $450-$975. That was more than the value of the watch itself, so I decided to take matters into my own hands. I began reading about watchmaking and looking for tutorials on YouTube, where exist some excellent videos by professional watchmakers. 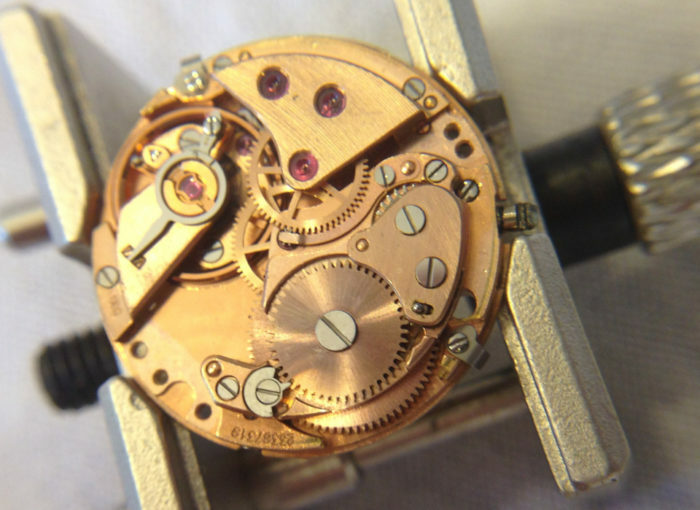 I determined that I would enjoy the challenge of repairing my own watch, and set out to begin the task. 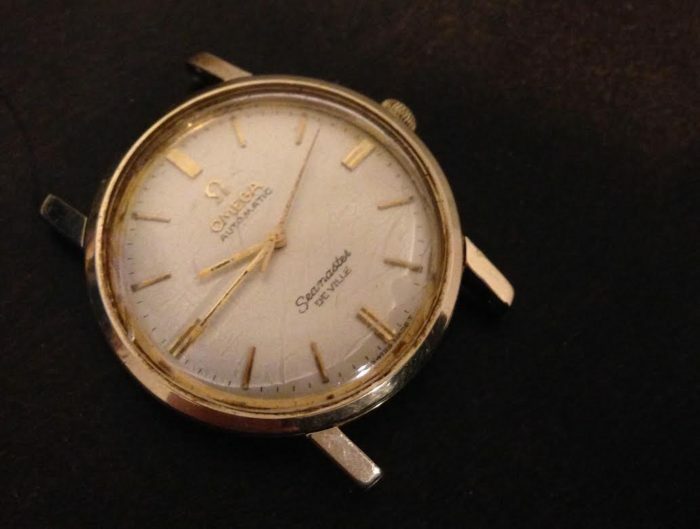 Knowing full well I would likely destroy the first thing I touched, I purchased a spare Omega 671 movement from eBay for some practice. I stocked up on the basic tools I would need, plus replacement parts including a new crystal, mainspring, and strap. I found a timegrapher app for iOS and discovered both the Seamaster and the spare movement needed service. First I disassembled the spare movement, taking detailed notes and keeping the pieces of each bridge in separate containers. I cleaned each component, pegged the jewels, and began my attempt at reassembly. There were some scary moments. This 17.5mm movement has some seriously thin springs. I almost lost the barrel arbor (twice), and I broke the mainspring and the pallet fork by putting it in upside down. I ended up buying a used mainspring winder, which proved to be a very useful tool. Finally, after I got the spare ticking again I repeated the process for my watch. Luckily, things went much smoother the second time around. That is, until the lower Incabloc spring decided to pop out. After numerous failed attempts to replace it, I remembered one of my grandfather’s favorite sayings: “work smarter, not harder.” So I set the spring in a ball of watchmaker’s putty, called Rodico, to hold in in place while I jiggled the ends in. Eventually it snapped into place. I proceeded to relume the hands using a “vintage patina” kit I found on eBay, taking the advice of Al Archer (whose posts across assorted watch forums are the closest thing to scripture for any aspiring hobbyist) by supporting the friction spring underneath the seconds pinion while I pressed the hand on. 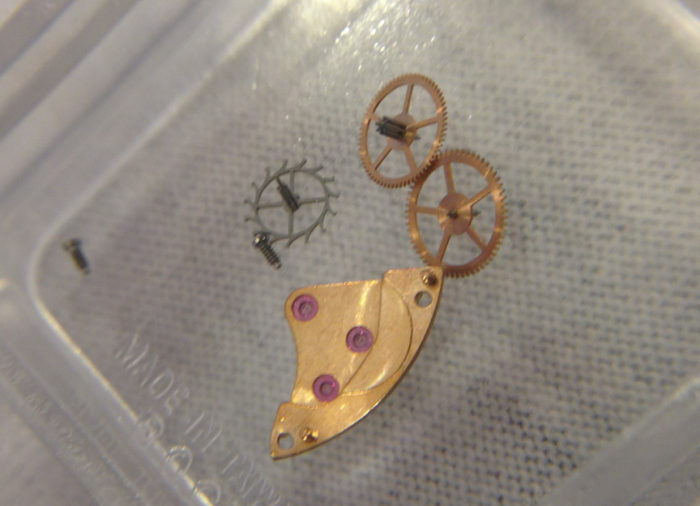 Then I cleaned the case, reinstalled the movement, and pressed in the new crystal. Overall, it was a rewarding, if at times frustrating, experience. And now I feel a bit of pride (and trepidation) every time I wear it.